The sparring master class with Master Tony Sewell was a bug success! We’ve had great feedback from everyone who took part, and we thoroughly enjoyed it ourselves. The parents who watched all commented on Master Sewell’s excellent manner towards the children to get them engaged and keep them in check at the same time! 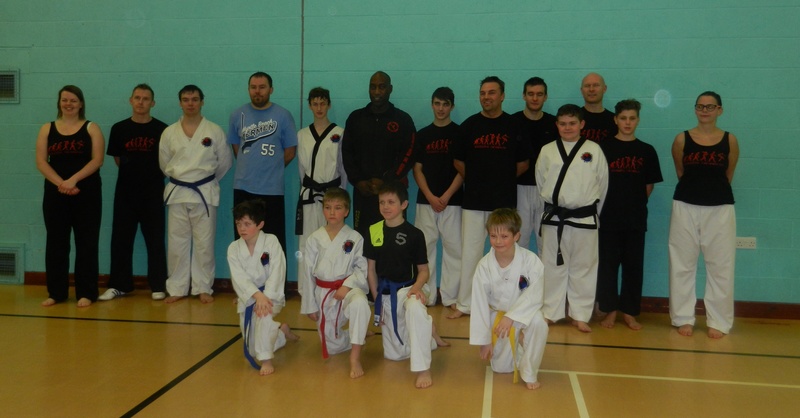 Bridgnorth Tae Kwon-Do members at Tony Sewell’s sparring master class. This entry was posted in Uncategorized on February 13, 2015 by bridgnorthtaekwondo.